I first mixed the developer and colour cream together to form the dye in a tub and then applied it to my hair in sections. This dye will stain your hands, so be sure to wear the gloves provided or your own. The gloves provided are the really big, it won't cling onto your hands, so it may provide difficulties to people with small hands during application. One box was enough to cover my medium-long length hair. After 30 minutes, I rinsed out the hair dye and applied the after treatment. The after treatment is average, it wasn't bad but it didn't leave my hair noticeably soft either. The dye does match the colour on the box. 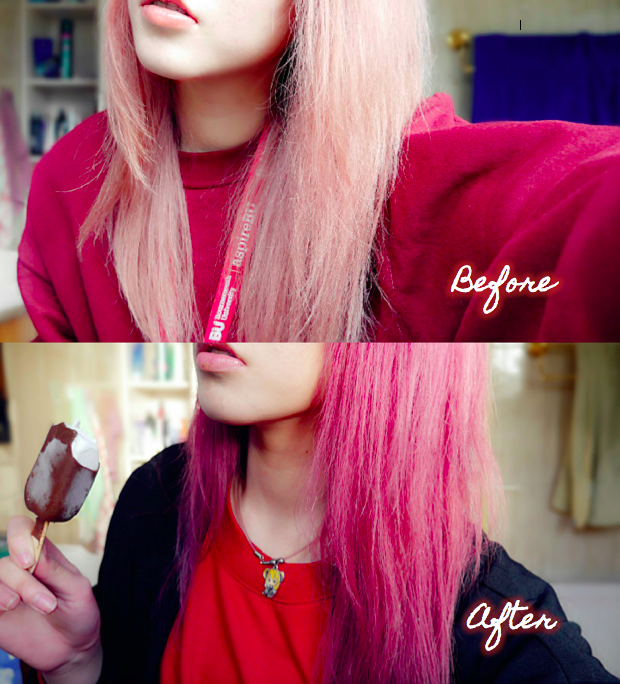 But since I have pre-lightened hair, the pink base shows up a lot more than the purple pigments. The dye did fade a little after one wash, resulting into a more fuchsia colour. This reminds me of their shade "Pure Purple". 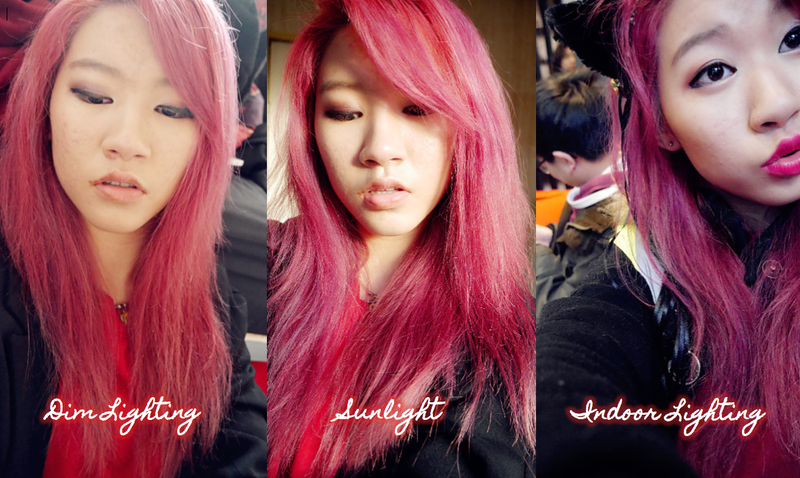 I adore the outcome of the dye, the colour is very pretty and vivid. The pink base makes the colour appear playful and romantic, whilst the purple pigment gives a mysterious vibe. The colour is very eye-catching, you are bound to have someone comment on your hair. As with the HD detail and shine, there is a pretty shine but it fades after 2-3 washes. 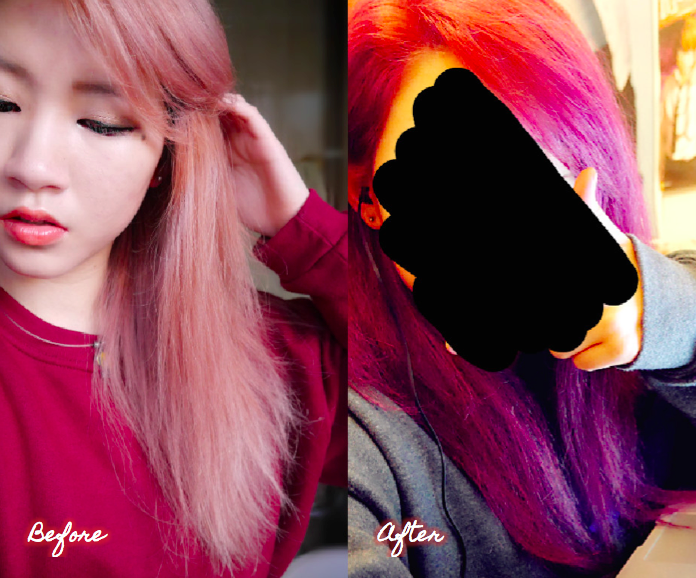 I can't comment on the "fade resistance" aspect, as my bleached hair doesn't hold colour in well to begin with. Would I recommend? 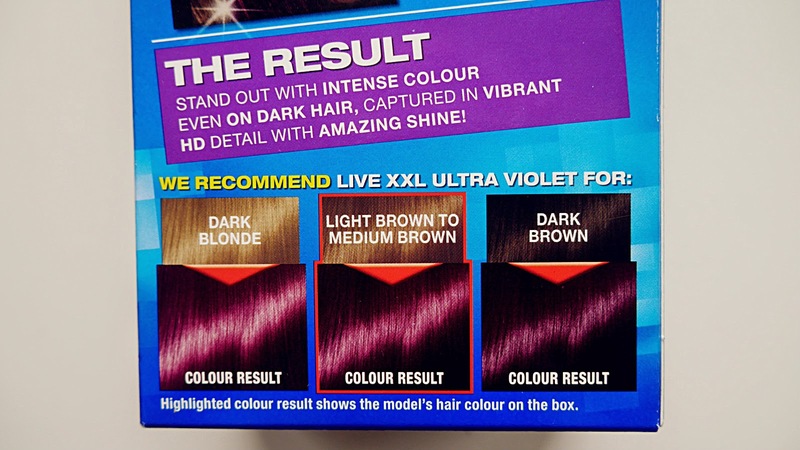 : If you're looking for a fun colour and "want to stand out from the crowd" as the box states haha, then yes! 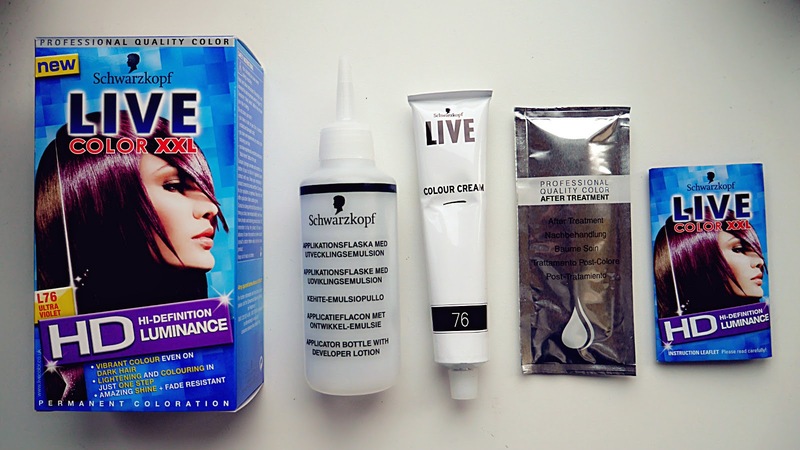 Affordable and easily accessible from any drugstore. 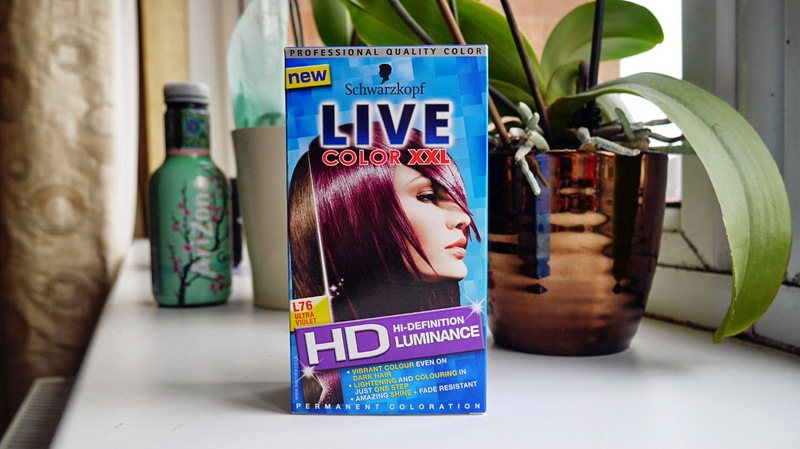 I'm not so sure if they sell these dyes in other countries but in the UK it can be found everywhere. 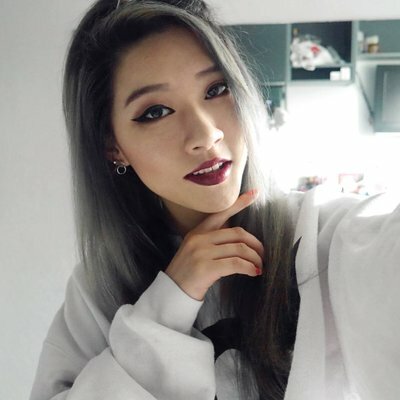 How often do you dye your hair tho? I love how accessible these cute dyes are here in the uk! Thank you~ ^^ Whatttt reallyy? O.o Thats weird, maybe he bought a faulty one?